YUGE development! THIS will cure the gridlock in Congress. The House GOP can pretty much pass any bill it wants. The gridlock occurs in the Senate, where the Republicans also enjoy a majority. However, a handful of disloyal Rinos, led by John McCain, who clearly gets off on being the obstructionist and center of attention, may very well be nullified by a Democrat Senator switching parties, which will not only add a vote to the GOP, but subtract one from the Democrats. Senator Joe Manchin of West Virgina is a moderate Democrat who leans right on many issues. He may be announcing this week that he is switching to the Republican Party, which will increase the GOP majority and neutralize attention whore Songbird McCain. This will likely lead to President Trump’s agenda, which is also the agenda of We the People, sailing through Congress with bill after bill being signed into law. If Manchin switches, and I expect that he will as he has everything to lose and nothing to gain remaining a Democrat, the first piece of legislative business that will be passed is the Graham-Cassidy healthcare bill, which includes the repeal of Obamacare. The big and scary remaining question is, “What the hell is it?” Is it Obamacare Light? It looks like it to me. How is it different? Anything Lindsey Graham loves and sponsors I am automatically suspicious of. Rand Paul is voting “no” and I trust Rand Paul on this. I would like to see the bill fully explained to the American people before another vote, but that is very unlikely to happen given the rush they are in to pass it. Next week we will see another Senate vote to overturn Obamacare. The Graham-Cassidy bill, which has suddenly gained momentum has a real chance of passage. I would not count on Senator McCain to vote for it. Despite his long friendship with Lindsey Graham he seems to hate Donald Trump more than he likes Graham. Yet there is another path to victory, and that path goes through West Virginia. The Governor of West Virginia, Jim Justice, changed his party affiliation to Republican in August. He knew that Trump was a big winner in WV and that there was little downside politically to changing sides to the GOP as that party is now favored by voters. 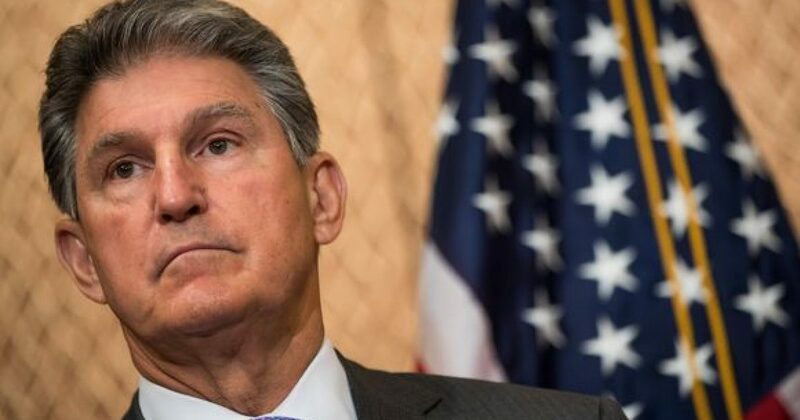 Consider Democrat Joe Manchin, who is running for re-election in as Senator in West Virginia. Why should he stay with a party that looks to have lost the state. What advantage does being a Democrat give him? Governor Justice has just endorsed Manchin for re-election in what appears to be a hotly contested election for 2018. Manchin is apparently facing an uphill battle, but that might quickly change. Suppose, with the assistance of President Trump, Manchin looked at the writing on the wall and decided to change party affiliation, just like Jim Justice. If he did that at the beginning of next week and brought another vote to pass Graham-Cassidy he would be an instant hero to most Republicans and become hated by many Democrats. The moment is ripe, Republicans may barely have the votes to pass Graham-Cassidy but imagine for a moment that Manchin brings along that needed last vote for passage. He would have leverage to cut a deal with the GOP and President Trump. As a Republican he could secure his reelection and get a Trump endorsement as well. While some on the right may howl that he is too liberal, it is doubtful that WV voters would agree. Tax Cuts, Tax Reform and many other goals of Donald Trump might become much more possible to achieve. Legacy media still seems convinced that 2018 will see huge gains for Democrats. Of course they still think Trump lost and seem to have forgotten all the Democrat promises of regaining power in 2016 failed miserably to materialize. It seems likely that the GOP will actually increase their numbers in the Senate in 2018 and gain more control of the Senate. Might Joe Manchin be interested in being in the majority party? Timing is everything here. President Trump should invite the GOP senate leadership over to have coffee and a chat with Senator Manchin on Monday. Success would see a major shift of power and President Trump getting a victory that the country desperately needs. So will sanity and self interest prevail? Will the GOP see the advantages? Will Joe Manchin smell the coffee and wake up sometime next week as a Republican Senator, and the savior of Graham-Cassidy? I certainly hope so.